I want to thank Subby and the guys who performed the work on my 2004 Cadillac Escalade. I had bought this used someplace else, planned to drive it on our move to Chapala, Mexico, and needed an opinion on it’s road worthiness. Subby suggested a complete check out. He later talked with me and pointed out the issues they had found. Told me which ones were critical and which ones were not for a trip like we planned. I should mention this Cadillac already had 190K+ on it, and someone had put a lowering kit on it which had destroyed the shocks. My wife and I are retired, and I had a budget to keep on for any repairs. After looking the estimate that was worked up, I asked Subby to do what he can do. Everything critical was done and the estimated shop time turned out to be less than expected due to a new tool one of the mechanics had to remove broken bolts. I was glad he was able to try it out on my motor because it worked like a charm they said. We made the trip with NO mechanical problems and I credit that to the expertise of the service department crew. Andrew “Buddy” Hoffman was rad and super great to work with. Love love loooved my car. What a great experience, we love our escape!! Popular Vehicle Alert! This 2019 Ford Expeditionvehicle has been viewed by 15 shoppers per week. Popular Vehicle Alert! This 2019 Ford Expeditionvehicle has been viewed by 16 shoppers per week. Popular Vehicle Alert! This 2018 Ford Expeditionvehicle has been viewed by 13 shoppers per week. $7,382 off MSRP! Custom Wheels!!!! 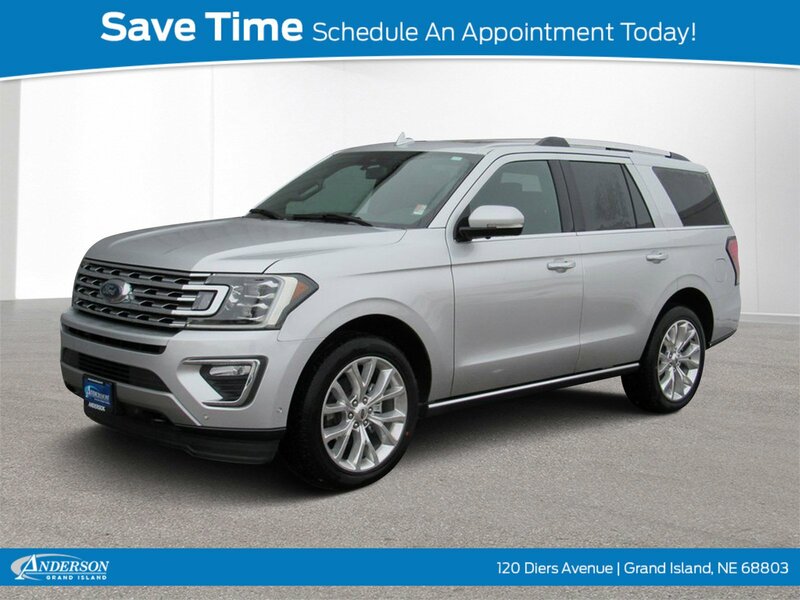 Blue 2018 Ford Expedition XLT 4D Sport Utility 4WD 10-Speed Automatic EcoBoost 3.5L V6 GTDi DOHC 24V Twin Turbocharged CUSTOM WHEELS AND TIRES, 4WD, 3.31 Axle Ratio, 3rd row seats: split-bench, 3rd Row Vinyl Seat, 4-Wheel Disc Brakes, 9 Speakers, ABS brakes, Adjustable pedals, Air Conditioning, Alloy wheels, AM/FM radio: SiriusXM, Auto-dimming Rear-View mirror, Brake assist, Bumpers: body-color, CD player, Cloth Front Bucket Seats, Compass, Delay-off headlights, Driver door bin, Driver vanity mirror, Dual front impact airbags, Dual front side impact airbags, Electronic Stability Control, Emergency communication system: SYNC 3 911 Assist, Equipment Group 201A, Exterior Parking Camera Rear, Four wheel independent suspension, Front anti-roll bar, Front Bucket Seats, Front Center Armrest, Front fog lights, Front reading lights, Fully automatic headlights, Garage door transmitter, Heated Body-Color Power Mirrors, Heated door mirrors, Illuminated entry, Leather steering wheel, Leather-Trimmed 1st & 2nd Row Seats, Low tire pressure warning, Occupant sensing airbag, Outside temperature display, Overhead airbag, Overhead console, Panic alarm, Panoramic Vista Roof, Passenger door bin, Passenger vanity mirror, Power door mirrors, Power driver seat, Power steering, Power windows, Radio data system, Radio: AM/FM Stereo CD/MP3 Player, Rear air conditioning, Rear anti-roll bar, Rear Parking Sensors, Rear reading lights, Rear window defroster, Rear window wiper, Remote keyless entry, Roof rack: rails only, Security system, SiriusXM Satellite Radio, Speed control, Speed-sensing steering, Speed-Sensitive Wipers, Split folding rear seat, Steering wheel mounted audio controls, SYNC Communication & Entertainment System, Tachometer, Telescoping steering wheel, Tilt steering wheel, Traction control, Trip computer, Variably intermittent wipers, Voltmeter, 4WD.Awards:* JD Power Initial Quality Study (IQS) Price includes $2,495 dealer added accessories. Popular Vehicle Alert! This 2019 Ford Expeditionvehicle has been viewed by 12 shoppers per week. Popular Vehicle Alert! 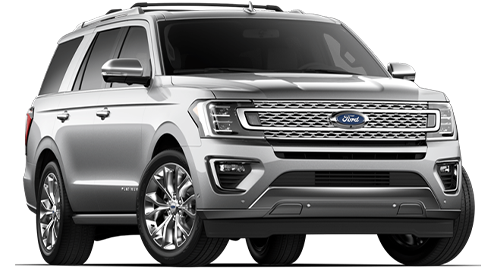 This 2019 Ford Expeditionvehicle has been viewed by 13 shoppers per week. Black Metallic 2019 Ford Expedition XLT 4D Sport Utility 4WD 10-Speed Automatic EcoBoost 3.5L V6 GTDi DOHC 24V Twin Turbocharged 4WD. Popular Vehicle Alert! This 2019 Ford Expeditionvehicle has been viewed by 120 shoppers.